Check out the job and audition listings! I'm excited to see a full fall lineup soon! Call 413-259-3065 to make an appointment! There is a growing mandate for equity, diversity, inclusion, and access (EDIA) on and behind the stages of American theatre. The 1995 Professional Theater Document of Principle, endorsed by the unions and guilds of actors and stage managers, casting directors, playwrights, producers, stage directors and choreographers, as well as Actors Equity Association's Equal Employment Opportunity statement—all point to a critical consensus that EDIA are professional values to which to aspire and realize in practice. Come play with our ghosts. Enter a once in a lifetime immersive experience starring the Shea Theatre. Directed by John Bechtold, Deus Ex Machina puts the historic Shea theater at the center. Be a witness to the magic created in the front and the back of the stage. Become part of the show, a vaudeville rehearsal, the ghosts of the past, the costuming, the makeup through dozens of disorienting and thrilling encounters, and reunite when it the world resolves at the end of the evening. Featuring your favorite actors: Amelia Chalfant, Andrew Plimpton, Emma Ayres, Fiona Herter, Jack Golden, Reynolds Whalen, Katherine Adler, Katie Spurgin, Linda Tardif, Lindel Hart, Lori Holmes Clark, Marina Goldman, Michayla Robertson-Pine, Monte, Enzo, Pax, and Atticus Belmonte, and Troy David Mercier. $20 general; $100 SPECIAL SHEA LIGHTING FUND SUPPORT - BRING YOUR TICKET TO THE BOX OFFICE AND FOR AN ADDITIONAL $80 (ALL GOES DIRECTLY TO THE SHEA) YOU WILL EXPERIENCE A ONE ON ONE IMMERSIVE EXPERIENCE. THE MYSTERY IS YOURS AND THE SHEA BENEFITS! 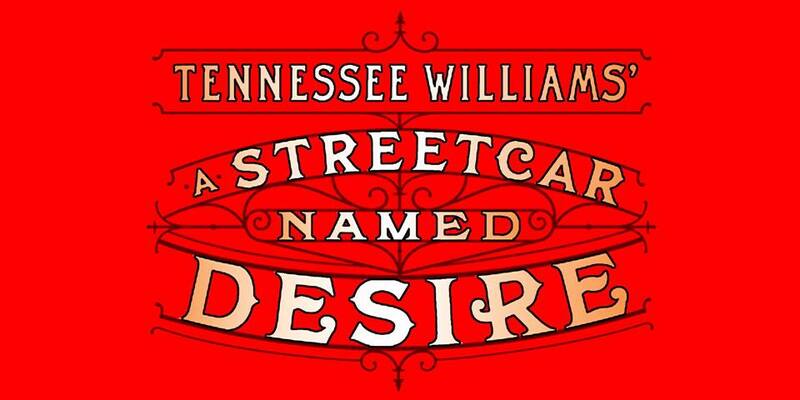 Explosive, passionate, and heartrending, A Streetcar Named Desire is modern American theatre at its best. When fading Southern belle Blanche DuBois arrives on the doorstep of her sister Stella’s apartment building in New Orleans, she is unwittingly entering a lion’s den. Wounded by romantic abuses, loss, and dangerous mistakes, Blanche prefers her world kept in dim, flattering light, fuzzy at the edges. She is shocked by Stella’s simple existence, her new low-class habits, and most of all, her crude, simple husband, Stanley. Stanley is fierce and unpredictable, moving from violence to softness in an instant, and he and Blanche begin a cruel, sadistic dance that’s only possible end is pain. With his signature poetic prose, muggy Southern Gothic setting, and psychological insight, Tennessee Williams’ mighty play, and his troubled, eccentric heroine, unravel before our very eyes. September brings a very special show for you! 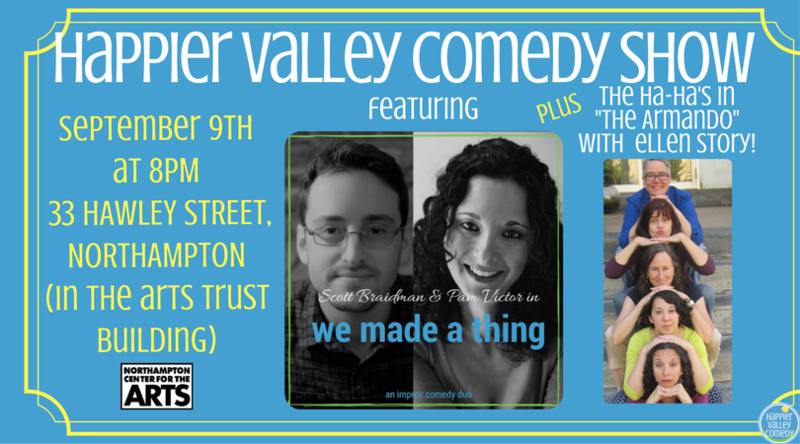 First up is the debut of the Valley's newest two-person superteam, "We Made a Thing" featuring Scott Braidman and Pam Victor. In "We Made a Thing," Scott and Pam live two other people's lives until the the show is over and they have to stop. If you like patient, character-based, discovery-rich improvlusciousness, "We Made a Thing" is just the thing. Then, The Ha-Ha's welcome former state representative Ellen Story, who will tell stories of her life, which serves as the hilarious fodder for a series of silly scenes brought to life by the talent improvisers. Tickets are available at the door for $13. Doors open at 7:30pm. Join us in our new home! The "More Improv, More Better Jam & Showcase is an open improv jam and short performance that runs from 10-11pm on the second Saturday of each month, directly following the Happier Valley Comedy Show. Play improv games lead by a Happier Valley Comedy School Jam Leader and watch a short improvised set featuring student improv group. Bay Path University is off to see the Wizard and we want you to follow the yellow brick road to the Emerald City with us! 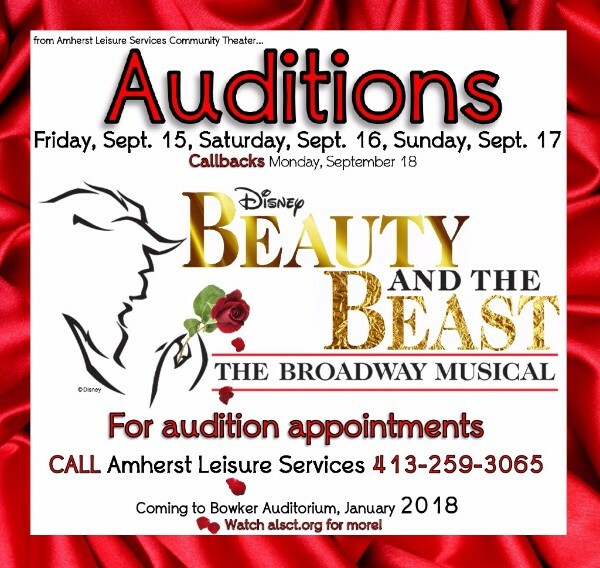 Seeking a diverse cast of actors, dancers and singers of all ages to help us create the magic for the world's most beloved musical, which twists its way onto the stage November 9 - 12! The Academy of Music box office manager is responsible for controlling all aspects of tickets sales for the Academy. The box office manager works closely with the accountant, website manager and the renters of the Academy to make sure ticket sales and money are brought in balance, information for ticket sales is accurate and timely, and customer or renter concerns are addressed in a courteous and professional manner. The box office manager trains and supervises personnel that work with ticket sales. This may include training new employees on computer software, handling credit card payments and potential difficulties. The box office manager works closely with staff to help with problem solving challenges and to support their work environment. The box office manager responds to customer complaints and deals with any issues that arise at the ticket counter. The box office manager sets the ticket and show pages through Ticketfly and website platform. A brief description of position: Part-time Paid Position starting in end of August for designing and posting SOCIAL MEDIA for Serious Play Theatre Esnemble toward fundraising and project production updates & also handle box office and ticketing thru brownpapertickets. We need someone to be in charge of coordinating engaging social media postings on Facebook, Instagram; regularly update our website with information, photographs and videos; help with outreach and public listings/press releases of productions; coordinate our online yearly Nov-Dec fund-raising campaign with National Giving Tuesday. Each year, we welcome dancers from all over Western Massachusetts to take part in one of our seasonal ballets! Nutcracker auditions for Community members take place Saturday September 9, 2017. The performance fee is $49 and rehearsals begin in October on Friday or Saturdays depending upon the role. Please contact the studio for details. 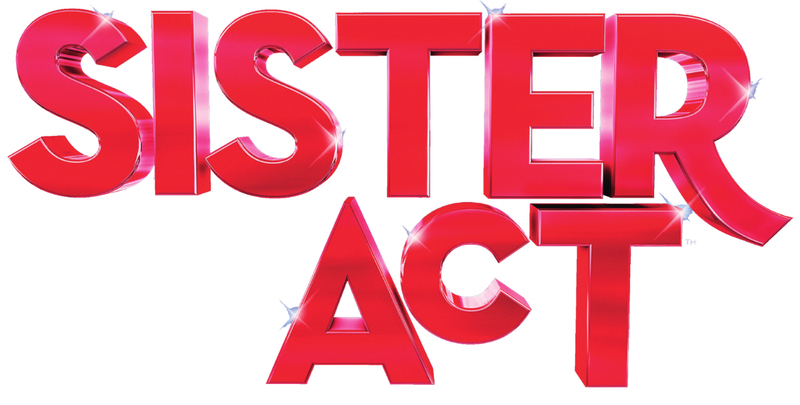 Open casting call and age appropriate casting for "Sister Act". You will be asked to learn and perform a short piece of choreography. Please dress appropriately for dance and movement. Be prepared to sing a song for the show. After being pestered by devils for more than half a year, Margery Kempe – new mother, mayor’s daughter, and proprietress of a highly profitable beer business – is liberated from her torment by a vision of Jesus Christ in purple robes. Visions are hard to come by, even in 1401. Should we trust the new Margery, with her fasting and her weeping and her chastity fixation, or burn her with the other heretics? Can a woman of insatiable appetites just up an audition for sainthood? Acting Studio 1, Mendenhall Center, Smith College, Northampton. Theatre 14, Mendenhall Center, Smith College, Northampton. No preparation necessary. Sides will be provided from the script. The UMass Department of Theater is holding auditions for its production of Runaways, a musical that calls for a large cast that includes members of the LGBT community, performers of color, and deaf actors who use ASL. We also look forward to welcoming to our cast those who have personal experience as members of the homeless or runaway community. Extensive theater training is not required. Sign up for an audition slot at https://tinyurl.com/umassrunaways. Please prepare about 30-60 seconds of your favorite song (musical or your favorite pop song). This will be sung a cappella. In addition to a song please also prepare a one-minute monologue or poem. Actors may be asked to move, so please dress comfortably in attire that allows for easy unrestricted movement. Please check in with the stage management staff in the Theater Green Room when you arrive. Runaways will have performances Nov. 1, 3, 4, 9, 10, 11 at 7:30 p.m., Nov. 11 at 2 p.m., and a school matinee at Nov. 8 at 10 a.m. Questions? Contact stage manager Matt Morin.